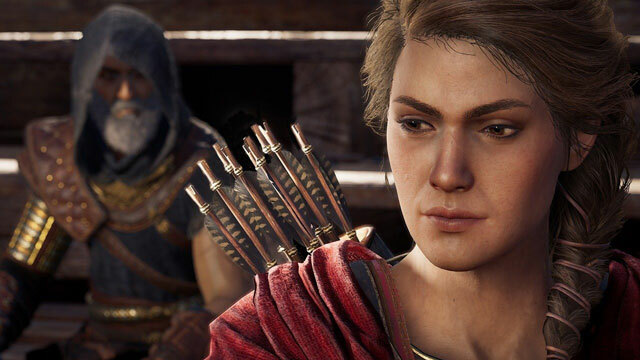 The launch time of the Legacy of the First Blade Episode 2 DLC for Assassin’s Creed Odyssey vary drastically depending on your platform. Some people have been having trouble figuring out when they can play Shadow Heritage, as the second episode of Legacy of the First Blade is called, especially on the PS4. Our AC Odyssey Legacy of the First Blade Episode 2 – When Can You Play guide aims to help you figure out the issue. When Can I Play Legacy of the First Blade DLC Episode 2 Shadow Heritage in AC Odyssey? The time when you’ll be able to play the second episode of the Assassin’s Creed Odyssey Legacy of the First Blade DLC depends both on your location, and also on the platform you’re playing on. It’s very confusing, and quite unnecessarily so, if you don’t mind me pointing out. We’re gonna go through the whole thing, by platform, based on the Reddit post by Ubisoft’s community manager. First off, the PC people. The availability will vary depending on which client you’re using. If you’re playing via Uplay, the DLC should be out for you already, having come out at 3 AM PST / 6 AM EST / 10 AM UTC. People playing on Steam have a few more hours to go; the DLC will launch on 10 AM PST / 1 PM EST / 5 PM UTC for you. On the Xbox One, the situation is by far the simplest. According to the post, the second episode of Legacy of the First Blade will roll out for you guys and gals at 12 AM local time. Then we come to the PlayStation 4, which is the most confusing one. The post just says that, on the PS4, the content “will be launched throughout the day, times vary per region.” There’s absolutely no guarantee when you’ll be getting it. For all anyone but Ubisoft knows, you might already have it, or not at all. Basically, just keep checking in on the PS Store. It’ll likely pop up whenever the it updates. That’s the best we can fathom from the scarce info. If you need further help with the DLC, check out our other articles, like Where to Find Legacy of the First Blade Episode 2 DLC and How to Start Legacy of the First Blade DLC Episode 2. NEXT POSTAC Odyssey Legacy of The First Blade Endings – Can You Avoid The Baby?